Bugia permit is at the southern edge of the Po Valley, next to the Apennine foothills. 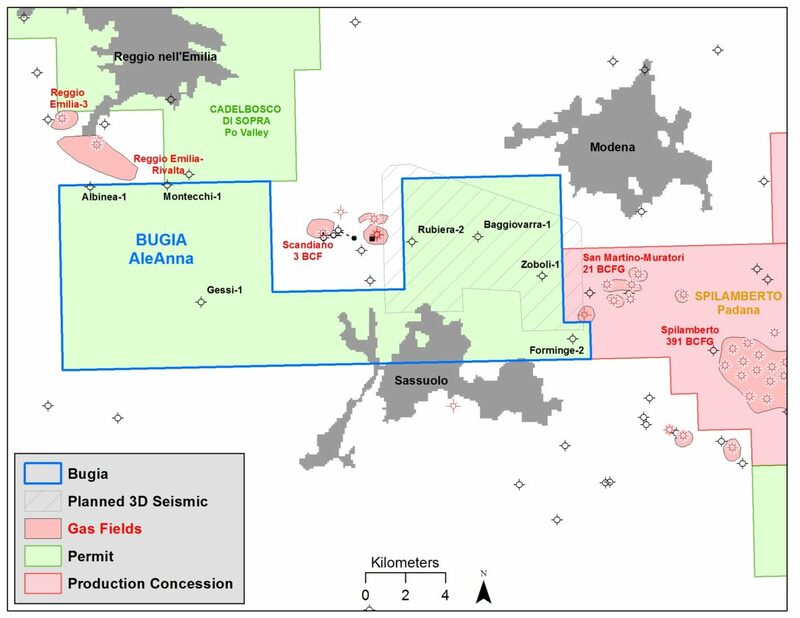 A NW-SE trend of Messinian reservoir gas fields crosses the NE corner of Bugia permit, including San Martino & Spilamberto Fields (21 BCFG and 391 BCFG cumulative production, respectively). Leads from 2D seismic amplitudes in the NE corner of the block (along the Messinian trend) will be imaged by a 3D seismic survey .